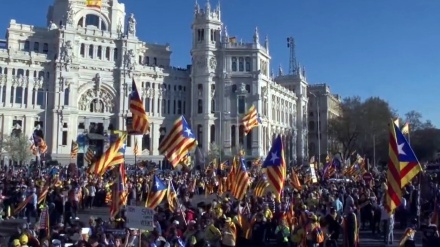 Iran Press/Europe: The protesters threw colored powder at the line of police set up to block the way leading to the Spanish police headquarters in Barcelona. The police responded by pushing back the protesters, some of them using batons,Reuters reported. Saturday's protest was meant to emulate the Hindu festival of holi where colored powder and liquid are thrown. 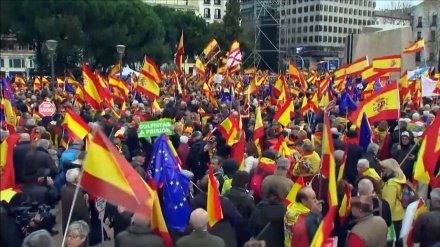 The protesters initially wanted to hold the demonstration in front of the Catalan regional government building but they decided to move location and started aiming for the direction leading to the police headquarters. 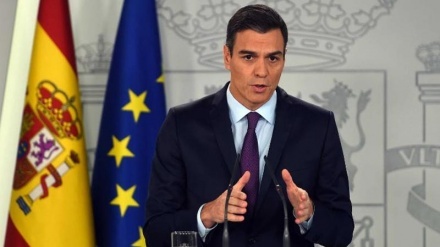 Because Sanchez needs Torra's party votes in the national parliament to pass the annual budget bill, a failure to find common ground in Catalonia would likely spill over to national politics in Madrid - and possibly trigger a snap national election sometimes in early 2019.